The Friends of We Care Bowling Challenge is a fundraiser organized by the BC Friends of We Care Committee to help send children with disabilities to Easter Seals summer camps in BC. Teams can sign up, collect pledges and come out and bowl. 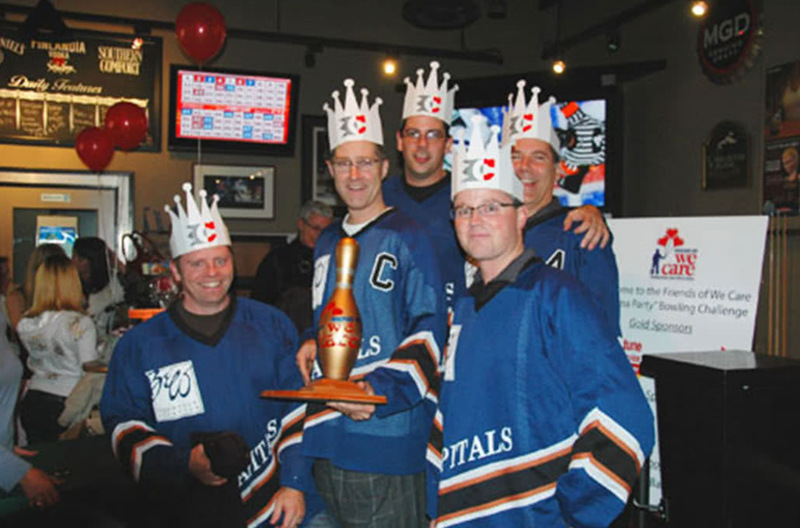 At the post bowling reception there are prizes awarded for best dressed teams and top fundraisers. Check back here for upcoming dates and theme announcements! To learn more about the Friends of We Care, please visit their website at www.friendsofwecare.org.